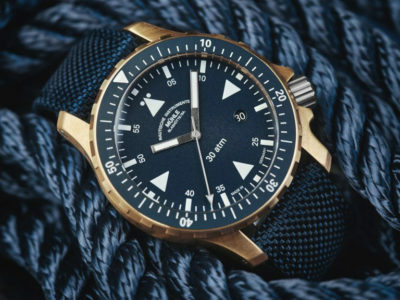 Be it a casual boating jaunt or a sailing adventure on the open seas, Mühle’s new Yacht Timer BRONZE special-edition, limited to just 500 pieces, helps navigate the way through the waves of time. 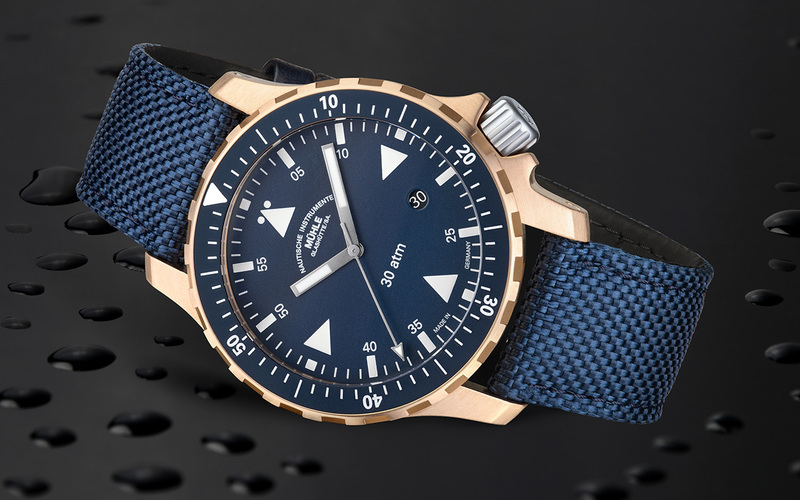 With its blue dial, blue bezel, blue textile strap and bronze case, the Yacht Timer BRONZE is a prime example of how colour can reveal the true character of a watch. 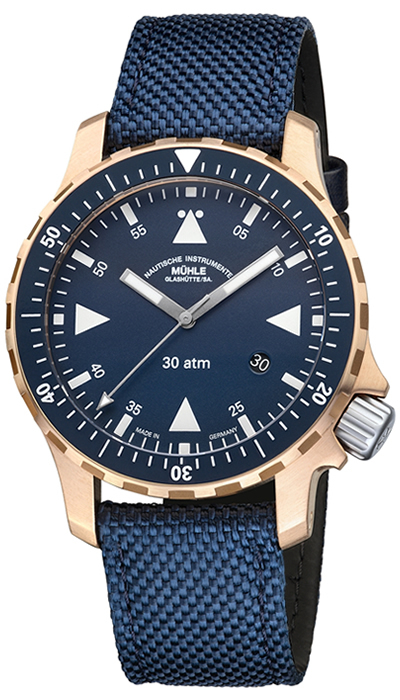 Mühle’s Yacht Timer uses its stunning blue design to immediately indicate where it feels at home: out on the water. 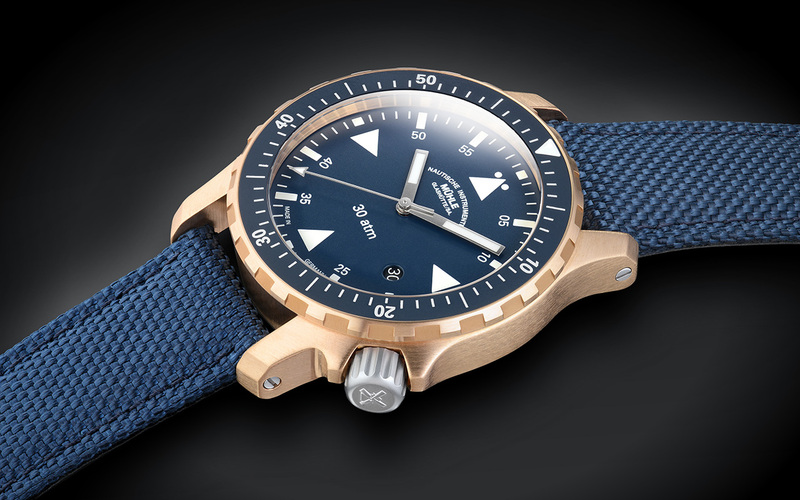 This model is not only the perfect companion for a casual day out on the water but also an outstanding shipmate for more challenging adventures at sea. The Yacht Timer BRONZE is more than just a pretty face, it delivers quality through its impressive functions and robust technology. 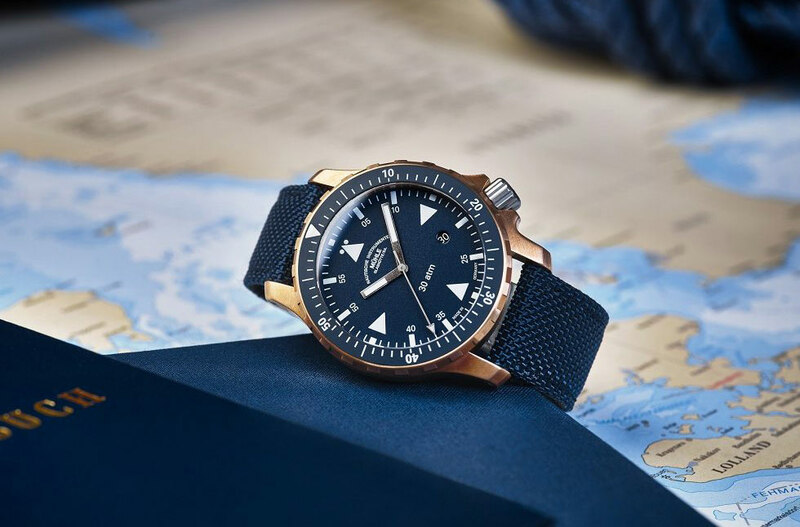 The 44mm case is seaworthy thanks to its core of aluminium bronze: a freshwater and saltwater-resistant alloy that is the material of choice for propellers in the world of shipbuilding. Another feature of this bronze material is the fact that it forms a characteristic patina over time, which in turn adds another layer of protects it against environmental influences. 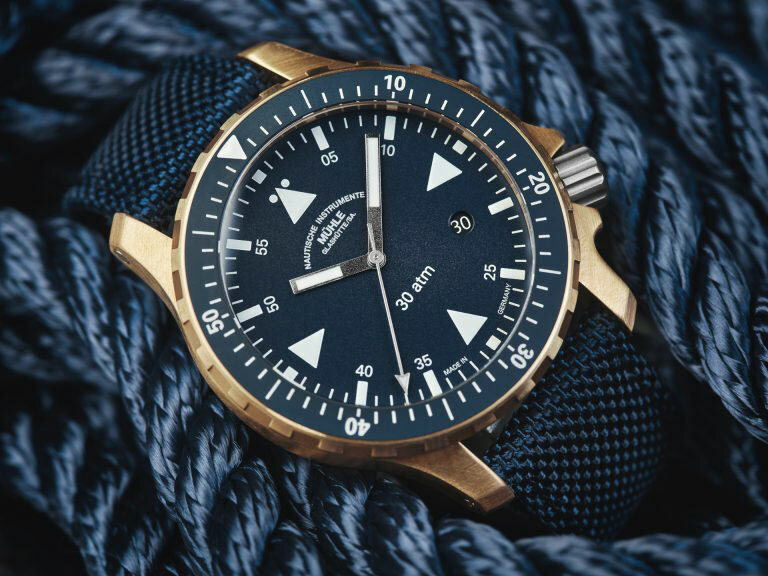 What’s more, the final appearance of this classically nautical patina very much depends on how and where the watch is worn by its owner, thus making every Yacht-Timer BRONZE a truly unique time measuring instrument. You will receive the timepiece vacuum packed so you can observe the patina as time goes by. 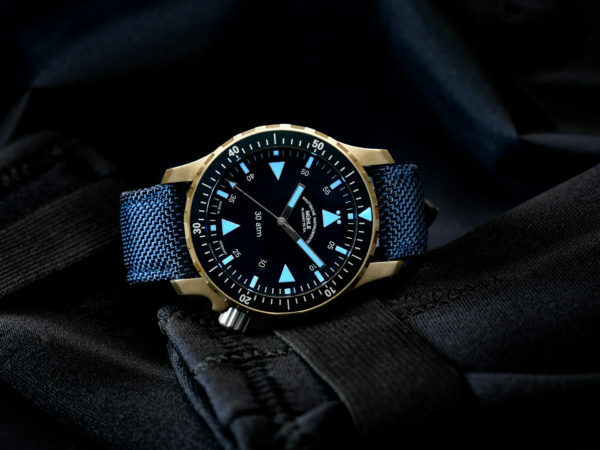 When it comes to setting out on the water, the Yacht Timer is ready and waiting to go thanks to its water resistance of 30 bars (300m) and its solid screw-in crown with extra side protection. The watch’s 2.5mm-thick anti-glare sapphire crystal additionally adds to its seaworthiness by providing its face with a scratch-resistant, shatterproof and low-glare cover that plays a key role in ensuring that the Yacht Timer BRONZE is easy to read at all times in all weather conditions. As you would expect, guaranteeing perfect readability is also the main aim of the model’s blue face, which features several of the tried and tested elements used in Mühle-Glashütte’s iconic S.A.R. Rescue-Timer. Regardless if the waves are crashing under the power of force 7 winds, night time has fallen, or the skies are full of dark and ominous thunderclouds, large hands and indices coated in highly luminous material, allow wearers to rest assured that their Yacht Timer BRONZE can be relied upon come what may. 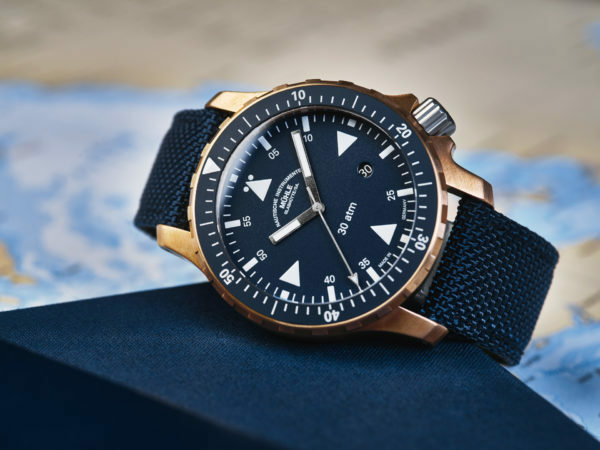 Another impressive feature of this time measuring instrument from the German town of Glashütte is its endurance, which makes it the ideal trusty companion for long sailing adventures. Its automatic movement requires no battery power or electricity whatsoever, instead relying on the movement of its rotor to wind it up ready for action. 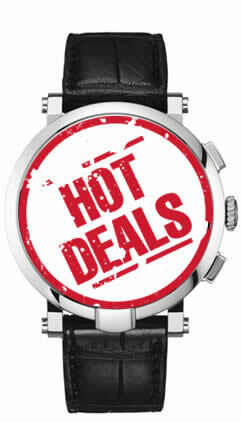 Both pacing the decks and mastering stormy seas are therefore ideal activities to energise both you and your watch. Once it’s fully wound, you can simply sit back, relax and enjoy up to 38 hours under the sun while your timepiece keeps on ticking – as long as the weather Gods play along. When accuracy counts, the Yacht Timer BRONZE is also a reliable crew member providing a precision of between 0 and a maximum of +8 seconds per day thanks to Mühle-Glashütte’s patented woodpecker neck regulation. This clever component regulates the watch’s perfectly honed SW200-1 Mühle version movement, which is fitted with the efficient Mühle rotor, in six positions. The Yacht Timer BRONZE is therefore perfectly equipped to take to the seas as a member of Mühle-Glashütte’s nautical family with the requisite virtues of: precision, robustness and excellent readability. Movement: SW 200-1, automatic; Mühle version with patented woodpecker neck regulation, own rotor and characteristic surface finishes. Stop-second. Fast date correction. 38-hr power reserve. Case: Bronze with a bidirectional bezel. 2.5mm-thick domed and anti-glare sapphire crystal. Stainless steel back with a transparent panel. Screw-in stainless steel crown. Ø 44.0 mm; H 12.5 mm. Water-resistant to 30 bars. Textile strap with a stainless steel pin buckle. Dimensions: Ø 44.0 mm; H 12.5 mm. Strap: Blue textile strap with neoprene water resistant backing. Screwed strap attachment bridges. Dial: Blue. Hour markers and hands coated in Super LumiNova, strongly luminous.